Sensational music, outstanding food, and one-of-a-kind service – it's waiting for you at all-inclusive Hard Rock Hotels! With gorgeous resorts located throughout Cancun, Riviera Maya, Puerto Vallarta, and Punta Cana, guests can revel in a luxurious vacation experience that includes indulgent spas, hand-crafted cocktails, and outstanding entertainment. And, when you book by May 2, 2019, you can save up to $150* per booking on your upcoming vacation to all-inclusive Hard Rock Hotels with promo code HARDROCK19! 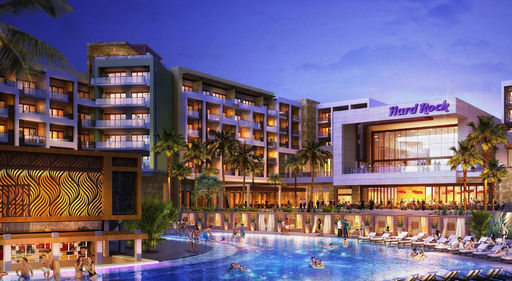 Stay at Hard Rock Hotel Riviera Maya and make a splash at the brand new Rockaway Bay Water Park, with an exciting variety of slides and pools. For the sports and adrenaline lover, Woodward Riviera Maya offers an indoor concrete skate park, foam pits, and trampolines. And if your little ones love to sing and dance, the KIDZ BOP Experience–launching this summer–will feature karaoke, a Pop Star Lounge, and more! 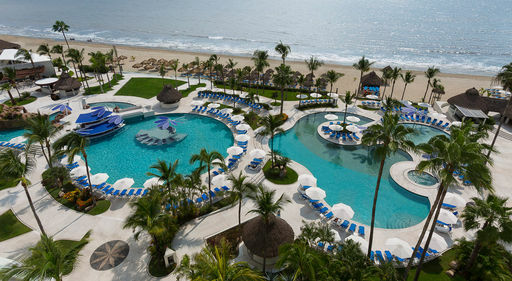 Staying in Puerto Vallarta this fall at Hard Rock Hotel Vallarta? The new Roxity Kids Club™ will offer supervised programs for kids, including games, crafts, and music! Your all-inclusive Apple Vacations package includes round-trip airfare, hotel accommodations, and in-resort transfers are ALWAYS included! All your meals, drinks, entertainment, and tips are included, too! 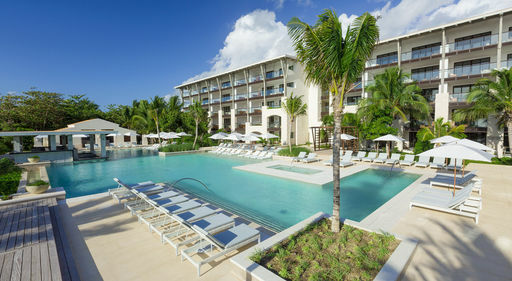 Immerse yourself in all-inclusive luxury at Hard Rock Hotel & Casino Punta Cana! 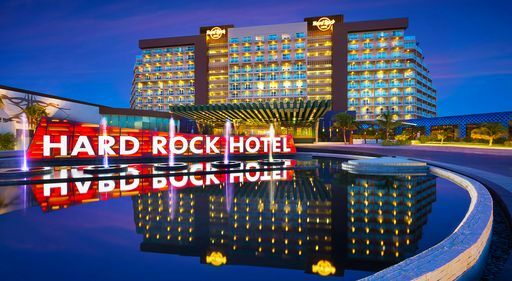 Known for its contemporary rock n' roll style and thrilling entertainment options, this resort is perfect for singles, couples, and families looking to explore their inner rock star and indulge in a one-of-a-kind vacation experience. 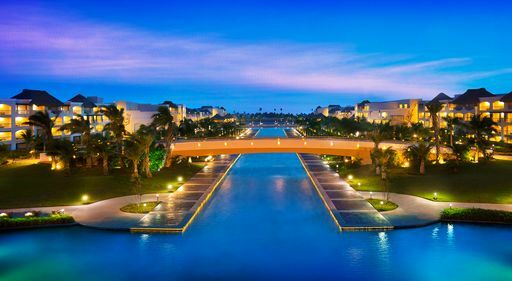 From the 45,000 square-foot casino to the several exclusive restaurants and variety of children's programs, Hard rock Hotel & Casino Punta Cana is a prime location for vacation bliss.